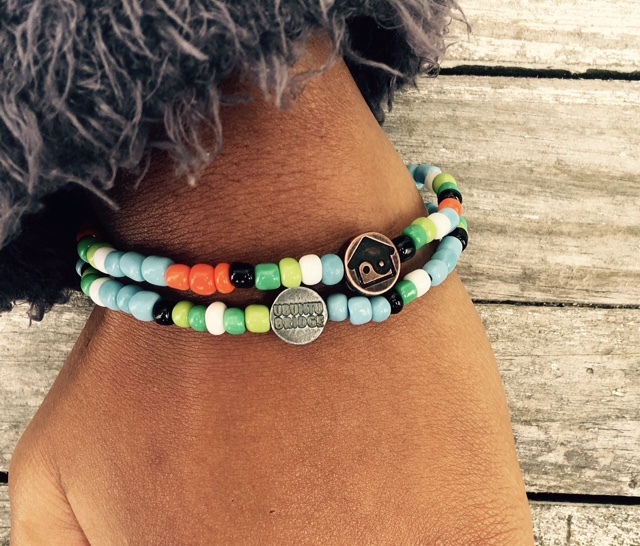 We are excited to announce that our UB Certifi-Beads are finally here! Those who pass our assessments will receive a PDF or printed certificate as usual, but who needs a printed certificate for language proficiency? Language is forgotten if not used regularly! 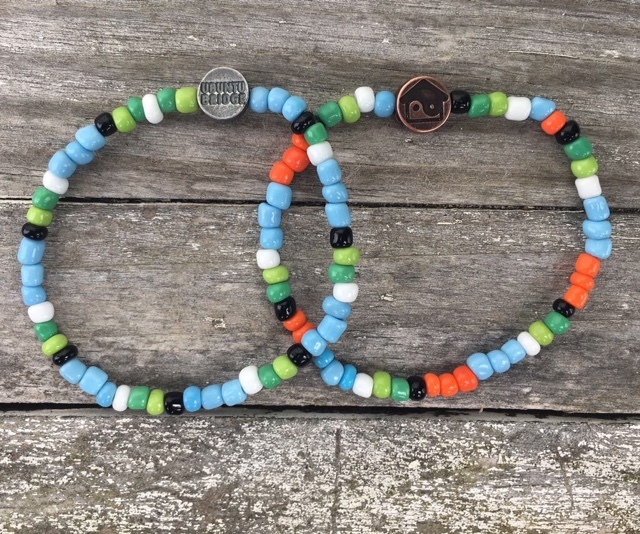 So for those who get an in-course specified %, will receive a beaded bracelet.By giving you the Certifi-Beads we congratulate you in style for being committed and dedicated in taking the first and most important step to learning the isiXhosa language. 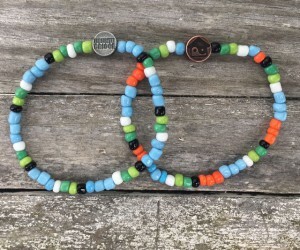 Certifi-Beads are something you can take with you. 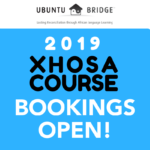 And be able to recognize and connect with other fellow UBuntu Bridge Xhosa students and hopefully speak to each other. 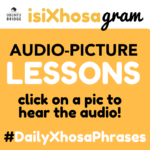 But most importantly we want them to function as a visual reminder to be proud of yourself, to encourage you to continue learning isiXhosa and speak with Xhosa speaking people around you. It can also help you identify other learners, or mother tongue speakers in the organization you work (if they have volunteered as part of the “include-your-colleagues” learning option, in which we give a brief coaching workshop to mother-tongue colleagues who can then continue to support your language learning as an informal conversation coach, and making the language learning process part of the organizational culture). Learning local languages is such a beautiful journey especially when done as an organization, community, group or society. Receiving support from UB and offering support to your fellow learning mates is essential. 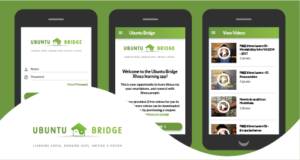 UBuntu Bridge is always seeking effective, fun and creative ways to make African language learning something you want to keep doing for the rest of your life. 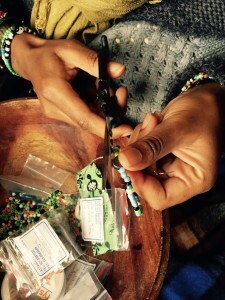 Living in South Africa it is crucial that you are able to speak a local language. 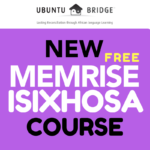 It is the most simple yet effective way of showing that you want to be part of the new South Africa; that you are taking a step to bettering communication with your fellow South Africans; that you understand that learning an African language is a way of bridging gaps that still continue to separate us in South Africa. Made with love by hands appreciating your efforts of learning IsiXhosa. 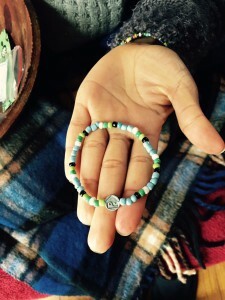 Let us know what you think and we are always open to new suggesting to make language learning easy for you.